The billionaire chief executive of Facebook said he will invest $20 million in a small nonprofit organization that works to improve Internet access in schools. The California-based EducationSuperHighway provides schools with information to help school leaders make smarter choices about increasing high-speed Internet access. The donation from Mark Zuckerberg and his wife, Dr. Priscilla Chan, will allow the organization to hire more staff and expand outreach to more schools. “Twenty million dollars is an incredible gift for an organization like ours,” said Evan Marwell, CEO of the EducationSuperHighway, the nonprofit he founded in 2012. 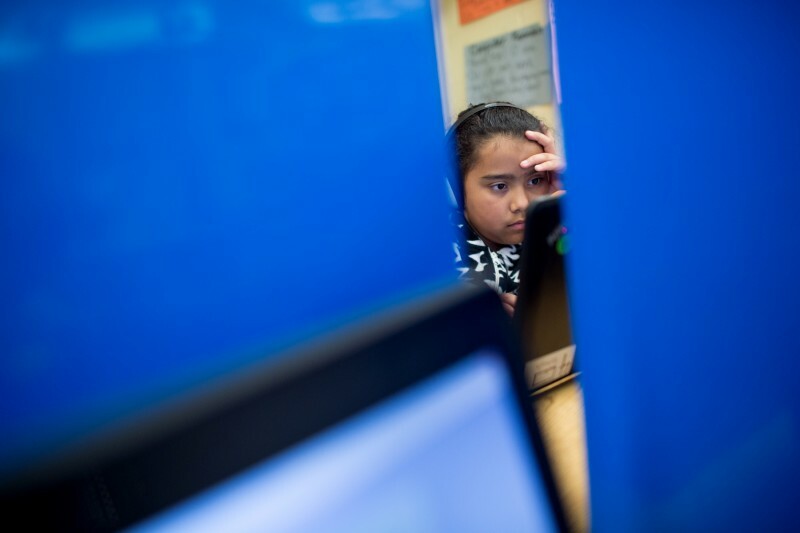 The donation was announced Thursday, on the same day that EducationSuperHighway released a 50-state report documenting the adequacy of school Internet connections in each state. According to the report, in 2013 about 30 percent of the nation’s schools had reliable and speedy Internet connections; today, about 77 percent meet that benchmark. A follow-up report, to be released early next year, is expected to provide local comparisons of what schools are paying for internet access, to help them assess whether they are getting the best possible rates. In the last four years, the organization has raised $10 million, providing most of its budget – including about $9 million from Zuckerberg and Bill Gates, in 2013. The organization is in the midst of a $60 million fundraising campaign, which Marwell said would be enough money to support their work through 2020. President Obama, through his ConnectED program, has vowed to ensure all the nation’s schools had modern Internet connections by 2018. In December 2014, the Federal Communications Commission agreed to a $1.5 billion increase in available subsidies for Internet connections to schools and libraries. The government also started providing more data on how schools are using that money. That type of information can help schools negotiate better rates with providers, Marwell said. In Virginia, for example, the organization worked with 15 school districts to share information about how much they are paying for Internet access, he said, and five of the districts were able to use that information to negotiate better deals. The donation from Zuckerberg and Chan is one of several hefty commitments they have made to education and technology, notably in Newark and in the San Francisco Bay area. In a series of Facebook posts this month, Zuckerberg has reiterated his commitment to education programs that use technology to customize lessons for students. Too many schools still lack a speedy Internet connection, Zuckerberg said Thursday in a statement posted on Facebook.